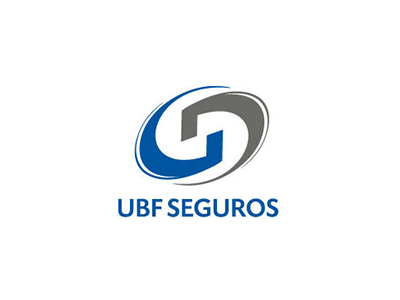 UBF Seguros was Brazil’s first credit and bond insurance company. It was established to pioneer the concept of commercial credit insurance in Brazil and also to provide a more competitive alternative to bank guarantees – performance bonds and financial guarantees - to homebuilders, comercial real estate developers and infrastructure operators through insurance-based products that benefit from the highly efficient risk sharing mechanism of reinsurance. Created by FINVEST´s founder in association with Banco Pactual, the company was acquired by Swiss Re, Switzerland in 2012 and now operates under the brand Swiss Re Corporate Solutions Brasil Seguros SA. In October 2016, the company and Bradesco Seguros launched a joint venture to create one of Brazil´s leading commercial large-risk insurers where the latter took a 40% stake of the company’s equity. In late 1999, immediately after the passing of new and disruptive legislation that created capital market instruments such as mortgage-backed securities and REITs that revolutionized funding alternatives for the real estate sector in Brazil, FINVEST launched its real estate credit and securitization operations, later grouped under present day RB Capital. Initially leveraging UBF Seguros’ real estate and infrastructure client-base which was then entirely dependent on scarce traditional bank financing, the new company quickly became one of Brazil’s leading providers of structured credit solutions to corporations and Project sponsors within a broad range of sectors so as to (i) complement capital needs; (ii) finance investments through equity or debt instruments; and (iii) optimize capital structures, with a proven success in distributing alternative fixed income securities to investors. In December 2016, FINVEST sold 100% of its interest in RB Capital to Orix Corporation, Japan. In 2010, to expand its private credit operations beyond RB Capital´s sector focus in real estate and infrastructure, FINVEST launched Captalys, a multisector alternative credit investment company with a platform that provides technological and operational support for multiple innovative non-bank credit products on a proprietary basis. Through its Direct Lending Unit, Captalys offers medium and long-term products that provide companies with a competitive alternative to bank financing to help them effectively manage their cash flow, borrow against future sales for investments, and cover unanticipated capital needs. Today, Captalys offers financing solutions to companies in sectors such as healthcare, retail and real estate subdivision that are notouriously unassisted by traditional banks. Through its Lending-as-a-Service arm, Captalys offers best-in-class services involving technology, advanced credit analytics and operations support, to third parties such as niche lenders and payment processors, including acquirers, sub-acquirers, benefit, debit and credit card companies, wishing to offer innovative credit solutions to their clients. Captalys invests in a wide array of private credit opportunities originated in-house or by other lenders, through structured credit funds and securitization trusts (“FDICs”) advised by its Investment Management Unit which are open to individual as well as to institutional investors. FINVEST was joined in Captalys by Morgan Rio Capital Management, a US-based credit and real estate-focused hedge fund, and Two Sigma Private Investments, the private equity arm of Two Sigma Investments, a large New York City hedge fund. In 2018, FINVEST created FINCAP (Fincapital Participações S/A) as a mortgage lender to provide financing to home buyers as well as Home Equity loans. Origination is mostly provided by Credihome Promotora Digital, its independentonline mortgage brokerage affiliate. Through Fincapital FIDC, a proprietary credit fund, FINCAP has the funding needed to warehouse its loans and to carry subordinated pieces as it securitizes its loans.